The tank in the water tower is empty. 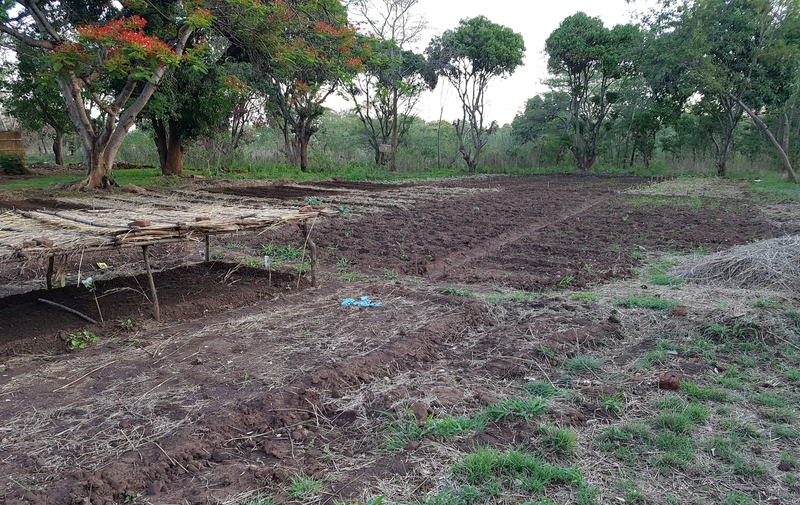 The team members are feeling awkward since they just planted corn, manioc, millet, artemisia, and aloe vera. The pump operates with solar power. Therefore, when it is cloudy unfortunately the pump does not work. The public water supply has been lying fallow for a long time since the close by dam dried up. 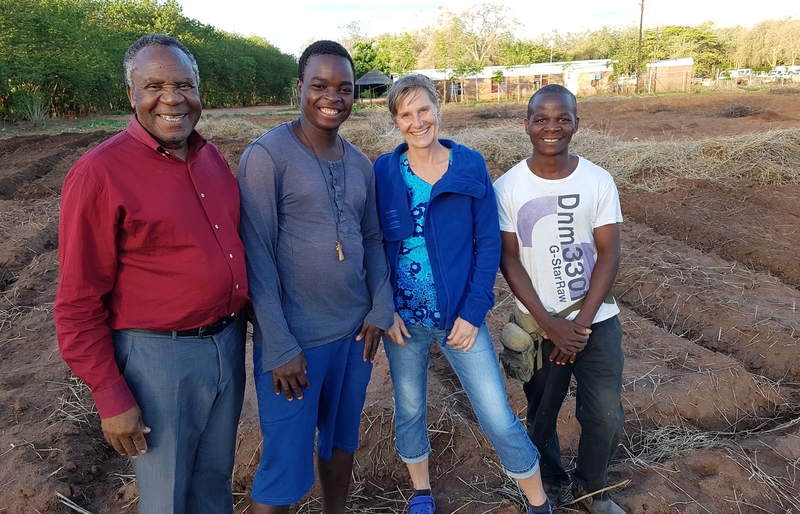 Karin Schwarz, missionary of EBM INTERNATIONAL, transformed a construction site into a training farm with a team of five young Malawians in four months. The farm belongs to the Baptist Convention of Malawi (BACOMA). 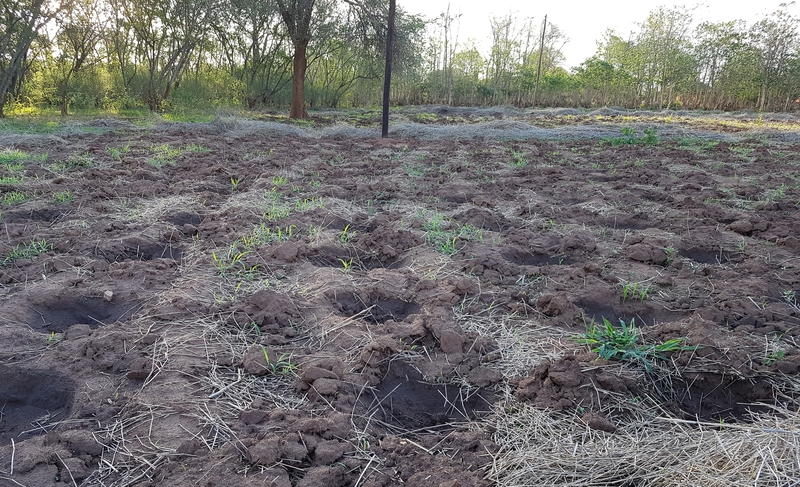 BACOMA had attempted a try a couple of years ago to make this farm a productive agricultural holding. This wish to generate revenue with the farm did not come true and so after four years BACOMA gave up on the project. This year the leaders however asked EBM INTERNATIONAL to support them so they could build up the farming operation. Trust, Hope, Elton, and James are well trained in ecological agriculture. Karin Schwarz is living together with them and their partners in a living and working community. The day starts with a joint devotion. After that, they start either working on the field or training the villagers. The Baptist church is in walking distance and it is the spiritual home for Karin Schwarz and her team. The concept of the farm is not only to pass on technical knowledge. It is also for the staff and the rural community to learn about a successful life in the presence of God. There are 15 people participating in different types of trainings. This way the project is a school of life as well as a technical school for agriculture. What do you do on a farm that is the size of 20 hectare? 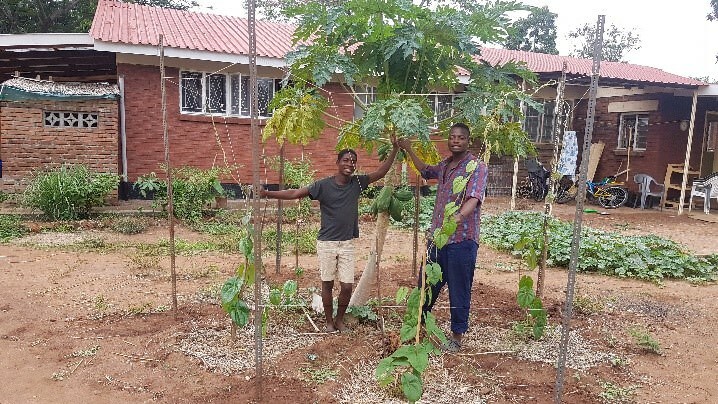 The concept of the Balaka farm is “farming in God’s way” – agriculture the way God intended nature to be. The team of Karin Schwarz teaches the interested interns how to grow even more without using pesticides. Corn, millet, and manioc are local sorts and are not genetically modified or versions brought from the outside. 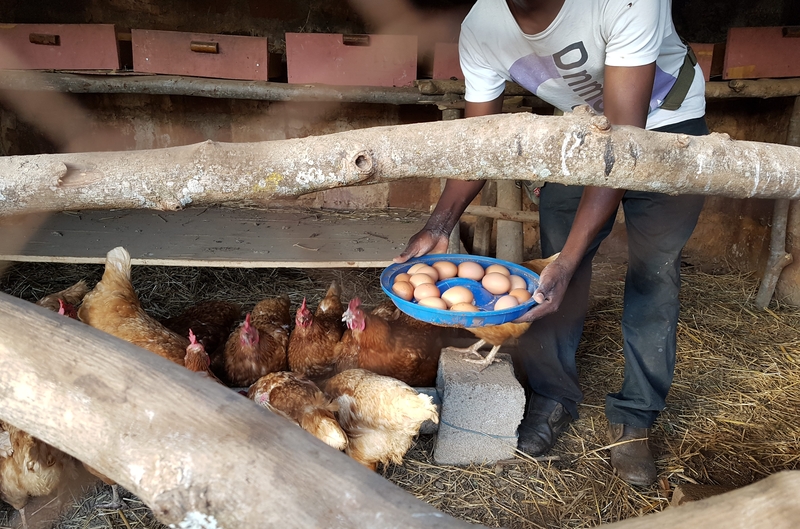 By now, the farm has 100 laying hens and every day the sell up to 100 chicken eggs. The food for the chicken they grow themselves. In addition to that, they have seven bee colonies that nested in the old farm that are now beehives. They make sure the plants are pollinated and produce honey. Karin Schwarz and her team also know a lot about medical plants. Almost 60 tropical medical plants are being cultivated on the farm throughout the different seasons. They are giving trainings for the use of the medical plants and they are supporting the sale of them as well. Finally yet importantly, there is a big “kitchen garden” with vegetables and fruits for every season of the year. The most important thing the farm needs right now is a converter for the pump so that the tanks at the water tower can be filled even when there is no solar power. Then the converter switches to the public power supply and there is enough water for the fields and for everyday life. Since the trainings have been held in the open for now, the training farm is in urgent need of a school building with accommodation possibilities. For that, the next year one of the rundown homes will be renovated and rebuilt. It is an impressive example for world mission the way EBM INTERNATIONAL understands it: sharing and learning, giving and taking. If anyone is interested in Karin Schwarz’s newsletter, you are more than welcome to sign up for it through the EBM INTERNATIONAL office.